Jezebel is a Ben Carson blog now. “If it were up to me I would decorate my office like a hospital waiting room,” said Mr. Carson, a neurosurgeon, who suggested, under pressure from members of the committee that oversees his department, that his wife Candy Carson and senior staffers had made the final purchase decision while he was tending to agency affairs. 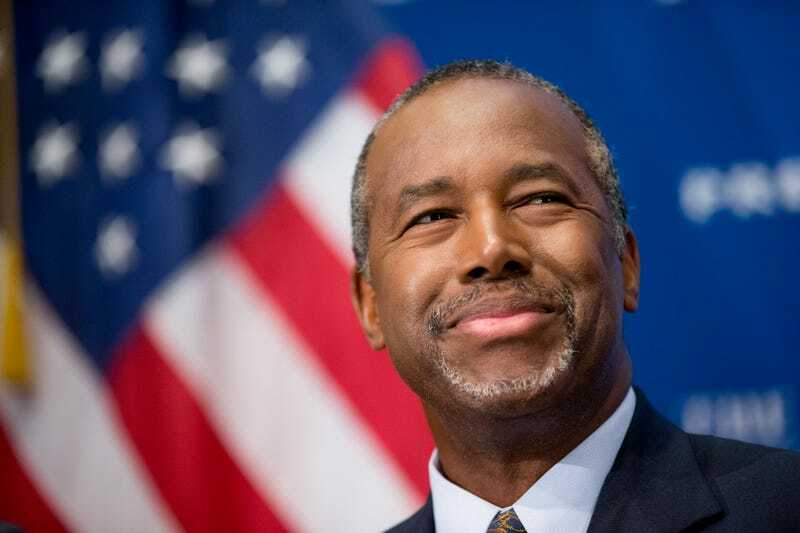 “People were stuck by nails, and a chair had collapsed with someone sitting in it,” said Mr. Carson, apparently referring to an email, sent by a senior aide last summer, in which she expressed the fear that the old dining set was falling apart and could lead to a mishap. Watch this space for more Ben Carson news. What Is It With Trump Cabinet Members and Needlessly Expensive Stupid Stuff?